Our 2019 theme is going to focus on seeds germinating in fire to start the rebirth of Lorain. Want to learn more? Google “pyrophytic plants” to get the idea! Come enjoy music from around the world and take in the dramatic art installations and pop-up art galleries that transform Broadway Avenue’s storefronts and abandoned buildings! Bring the whole family for non-stop music, dance, theater and even fire-juggling performers. 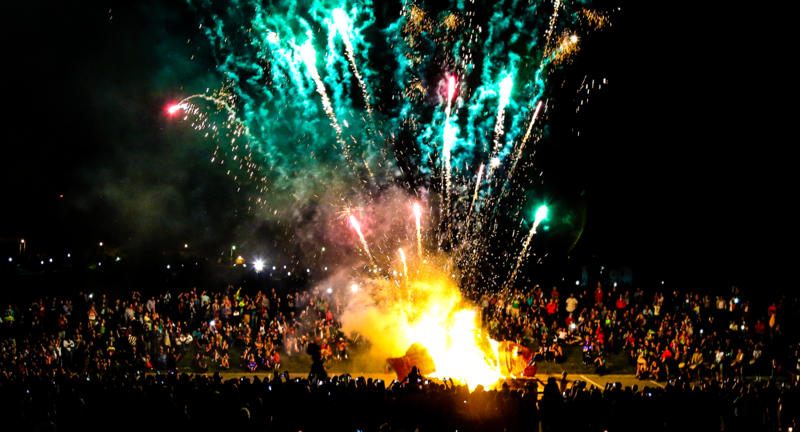 Bring the kids for hands-on activities and food from around the world, all leading up to the spectacular fiery finale. You won’t want to miss it! Follow us on Social Media for more exciting news and updates!